They had names like Mack, Prince, Tyler, Baby, Joe and Snap. They were elite athletes, immortalized in death. 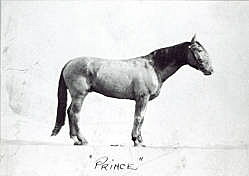 In Missoula, the most famous of the city’s fire horses were Snap and his brother Prince. Snap began his career in 1889, described as “an intelligent animal, standing seventeen hands high, and well trained for his work.” Paired with his brother, Prince, they were a perfectly matched team hauling the fire company’s steamer to numerous conflagrations for over a decade. 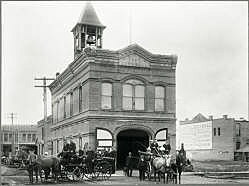 When the Northern Pacific hospital burned in 1891, the local press reported the pair “made the famous run, fairly galloping into the hearts of the firemen, and assuring (themselves) of a home in the Missoula fire station” for the rest of their lives. Watching the fire horses practice was one of the great entertainments in Missoula for years. Officials at the St. Louis World’s Fair, recognizing the importance of well-trained fire horses, sent out invitations to “every fire department in the entire country” to send teams to participate in competitions to determine “the best type of fire horses.” Chief May of the Missoula Fire Department received an invitation, but the city wasn’t able to accept. Just like Prince and Snap, by the early 20th century many fire-horse teams across the country had made their mark on local history. “Baby,” according to the Kansas City Journal, was “one of the best horses the (New York) fire department ever had.” As the story goes, when Baby was beyond her useful life she was told she’d be sent to the auction block, whereupon she drooped her head and died. In Kansas City, when Joe died of injuries suffered in an 1894 fire call, Professor E. D. Eames of Kansas State University, a skilled taxidermist, was called upon to make a mount of the veteran fire horse for display in the K. C. fire headquarters. 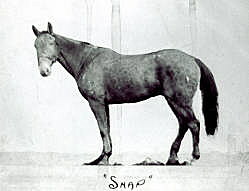 Of Missoula’s famous team, Snap was the first to die, at age 22, in 1901. Prince died 18 months later, in 1903, at age 24. 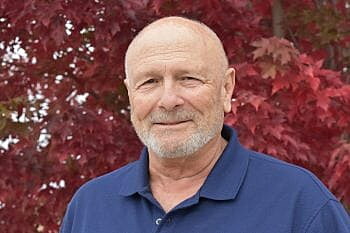 Fire Department Captain MacAuley “spoke kindly” of his friend at the horse’s burial. The fire-horse era quickly ended around 1910, when Missoula city officials began to look at “horseless” equipment. The new fire machines promised lower costs up front, and lower maintenance costs, long term. On June 16, 1911, “the new white speed-wagon” arrived in Missoula. Ironically, it was transported to the fire station … by a team of horses.